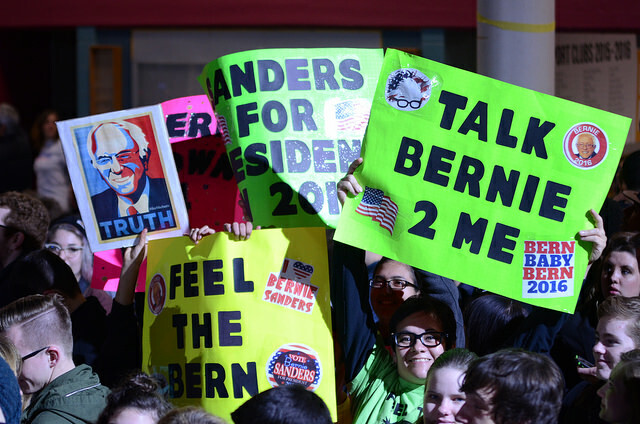 Students hold signs at a Bernie Sanders rally in Iowa City on Jan. 30, 2016. Sanders eventually lost his bid for the Democratic presidential nomination but young people supporting him now have a chance to have their voice heard as first-time presidential election voters in fall 2016. 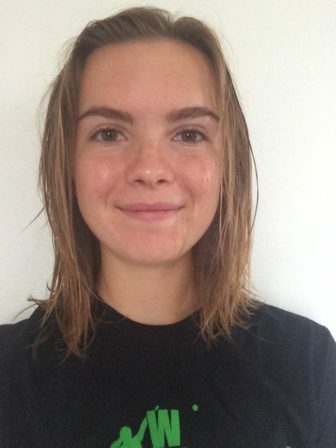 “I’m most excited to be able to express my choices and have a say in who leads our country,” one of those new voters, Elena Foster, 21, an Iowa State University senior from Solon, Iowa, said. And those young people are ready for action. IowaWatch interviewed 28 incoming voters from Iowa, considered to be a swing state in the election, and six other states to discover what people in this generation are passionate about, what they believe it means to be able to vote and the importance of voting. According to Henry J. Aaron, a senior fellow in economic studies at Brookings Institution, and many others, this election is one of the most important events in American history. 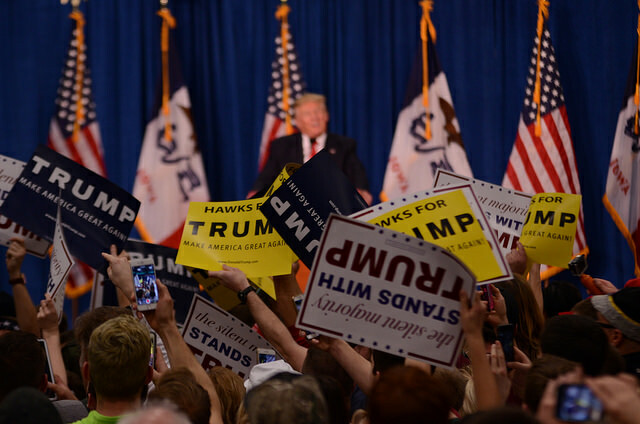 Many citizens are on edge, believing that choosing between Donald Trump and Hillary Clinton sets a long-term fate for the United States, and many young voters IowaWatch interviewed were conflicted with what the right choice is for them. Nickolas Malone, 18, a freshman at the University of Illinois-Chicago who is from Riverside, Illinois, said he is split on which decision coincides with his beliefs. 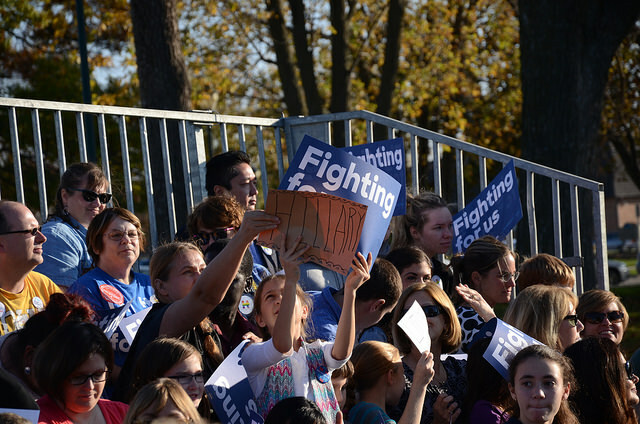 Two young girls show signs in support of Democrat Hillary Clinton during a Nov. 3, 2015, campaign stop in Coralville, Iowa. As questions about trust spiral through Malone’s mind, fear also is fresh in the thoughts of these first-time voters. “My views on the election are that this election is scary. 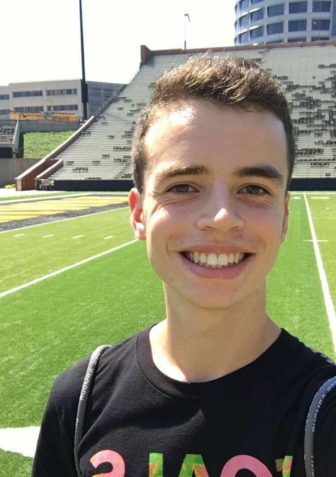 We have a possible racist candidate and a criminal as the other,” Aaron Carter, 18, a freshman at the University of Missouri who is from Iowa City, Iowa, said, stating accusations the candidates have made during the campaign about their opponent. Students show support for Republican Donald Trump at a Jan. 26, 2016, rally in Iowa City, Iowa. Nate Disterhoft, 18, a senior at Iowa City West High School, said he views both Clinton and Trump as being unsuited for the job. Emma Christison, 18, a freshman at University of Tampa in Florida, said that despite her fears and unease about the candidates she has decided who gets her vote. It will be Clinton. Jacob Hied, 18, a University of Iowa freshman from Iowa City, Iowa, also is won over by Clinton’s policies. But Micah Smith, 18, an Iowa City West High senior, said that after long thought, has decided to give Trump his vote. “I know what my political views are and a lot of that comes from my parents and my family and what they believe, and it also coincides with my religious beliefs,” Smith said. Being granted the right to vote is a privilege gained after turning 18 and an important part of adulthood, those who were interviewed said. Luz Brule, 18, a senior at West Irondequoit in Rochester, New York, was looking forward to having a voice in the election. 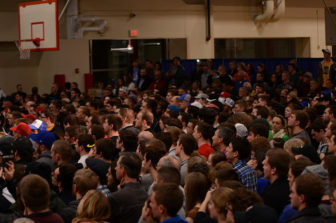 The audience for Donald Trump’s Jan. 26, 2016, speech in Iowa City, Iowa. Blake Florian, 18, of Las Vegas West Career and Technical Academy in Nevada, said voting means being responsible and independent. Florian said he sees his vote as an extension of his First Amendment right to free speech. “We should be proud and lucky to live in a country where we are able to practice such things,” he said. Iowa City West High senior Molly Howes, 18, said responsibility comes with the privilege to vote. Iowa City West High school sits just west of the University of Iowa campus. Like its counterpart on the east side of Iowa City a little more than four miles to the east, City High School, it is in a largely liberal community. It is the home of many political clubs, making the school particularly politically active. 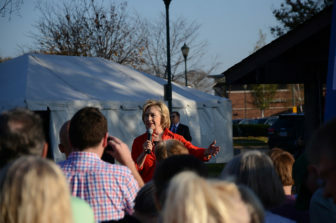 Hillary Clinton addresses her audience in Coralville, Iowa, on Nov. 3, 2015. Cole Piercy, 18, a senior at West, said voting ensures that others will now listen to what he has to say. Fellow senior Julie Watkins, 18, said voting should not be taken for granted. The Center for Information and Research on Civic Learning and Engagement, gives Iowa the highest Youth Electoral Significance Index score among the 50 U.S. states. (see graphic below) This score is attained by researching youth voting patterns and trends, as well as the analysis of the youth vote influence on the 2012 and 2014 statewide races. 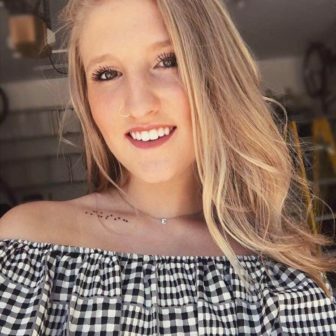 Autumn Moen, 18, a University of Iowa freshman from Iowa City, Iowa, said no one should take the right to vote as an Iowan youth for granted. 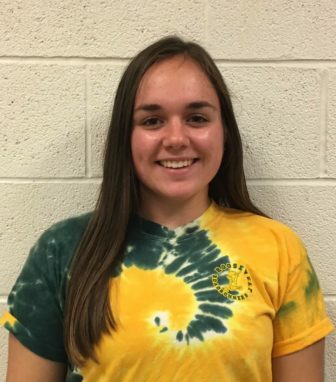 Grace Young, 18, a freshman at Northwestern University in Evanston, Illinois, said there is no excuse not to join this group of incoming voters in the November election. “Registering to vote is easier than watching Beyoncé’s Formation music video online, unless you have the page bookmarked maybe. So many websites have links to the voter reg sites, there are people on your doorstep, on your phone, all over,” Young, from Kalona, Iowa, said. 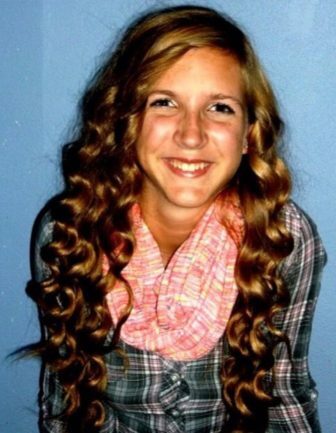 About the author: Fenna Semken is a junior at Iowa City West High School. She writes and edits for the school’s student newspaper, the West Side Story. This IowaWatch story was republished by The Gazette (Cedar Rapids, IA) and KCRG.com under IowaWatch’s mission of sharing stories with media partners. Election Day on Nov. 8, 2016, marks the end of a long, long presidential campaign in Iowa, where the presidential campaign began well before the first presidential precinct caucuses in the state on Feb.